TheBloomOutlet.com | Mother’s Day is one perfect day to be celebrated with flowers. Almost every woman loves flowers, including your mother. You can find a florist very easily through the internet and your search engine. However, you cannot just choose any florist randomly. You have to choose the best and the most suitable one, regarding the quality of the flowers and also your own budget. Online florists always display the flowers along with the prices, you can take a look at them and decide whether the prices are worth it and suit your budget or not. 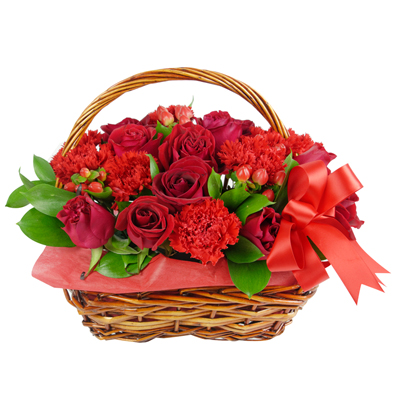 Furthermore, you can compare each online florist you have found on the internet before you choose the best one. Don’t forget to make sure if the florist is reliable and offer some guarantee for their services or not. Some florists usually will offer discounts or coupons for sometimes. You can then try to look for a florist that has this offering too before you choose a florist Singapore. If you don’t find one, you can also try to ask the florist for some suggestions of cheap flowers or flowers that are suitable for your budget. Flowers with a longer stem and higher grade will obviously have a higher price, too. You can then choose other kinds of flowers that are cheaper or combine some flowers that will create a cheerful and fancy flower arrangement instead of a bunch of same expensive flowers. Prices and all costs usually will be higher or go up during special dates like Mother’s Day occasion. The higher price is because last minutes’ orders would have rush fees and include some term shipping costs. This is why you have to order the flowers early if you want it to get cheaper or more affordable for you. Moreover, order early also can give you more time to select the best flowers and add some other gifts to make the Mother’s Day flower bouquet become more special. You also don’t have to worry about sending the gift late or when the gift will be delivered. As long as you order and schedule the florist delivery right, you don’t need to worry about anything. After all, best quality and services are number one. You don’t want to get cheap flowers in a “cheap quality”. Instead, you want to have the best deal of mother’s day flowers by using some tips above.